Looking for a dog? 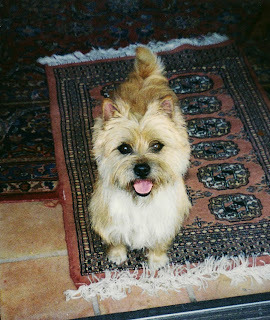 Check out these Cairn Terriers and Cairn mixes. Interested? Contact Karen Smith, redcoat@tfb.com, 760-728-7133. Sparky is a 7-year-old Cairn Terrier in need of a new home. He is in excellent health, neutered, housebroken, current on all vaccinations, and very loving. He also talks and sings, rolls over and wiggles, is very intelligent and very affectionate. 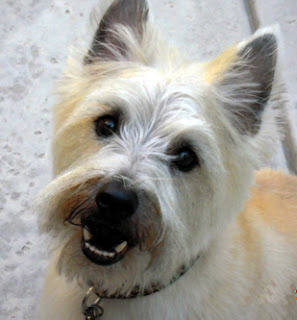 Sparky loves to go for walks and ride in your golf cart or car. He is also a great indoor dog, appreciating your loving company and the quality of your sofa, however, he prefers to sleep in his own bed. He is an excellent watchdog, and only barks for good reason. Sparky would like to be the only pet in a very affectionate home. He does not like cats.